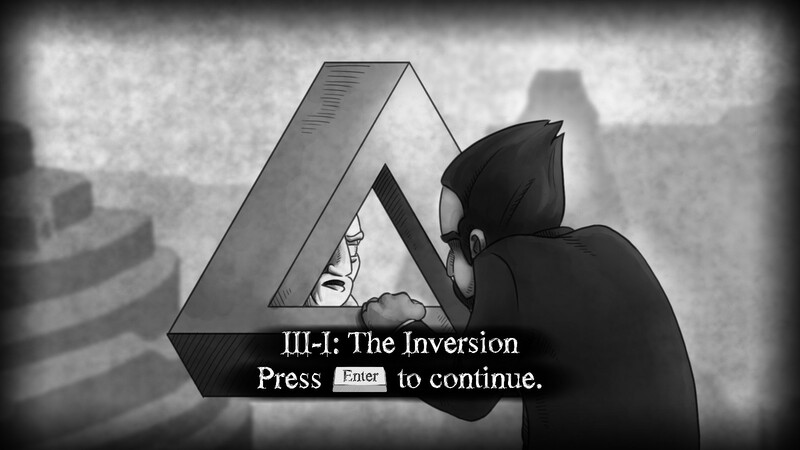 The Refined Geek » The Bridge: Trapped In Escher’s Crazed Dreams. The Bridge: Trapped In Escher’s Crazed Dreams. There seemed to be an inflection point some time ago, around the time when the first Portal was released, when game developers suddenly realized the potential in creating non-traditional puzzler games that focused on ingenious mechanics. I’ll have to admit prior to this time puzzlers bored me as they were typically quite simplistic in nature and lacked any real novelty to keep me interested. This is probably also due to the indie renaissance which has seen many unique ideas make it to fruition that would not have done so otherwise. 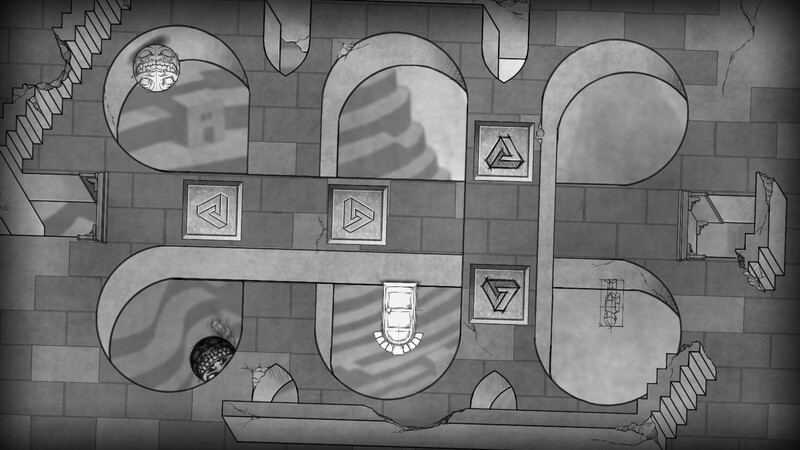 The Bridge is one such game, combining several different mechanics to form an incredibly intriguing puzzler. 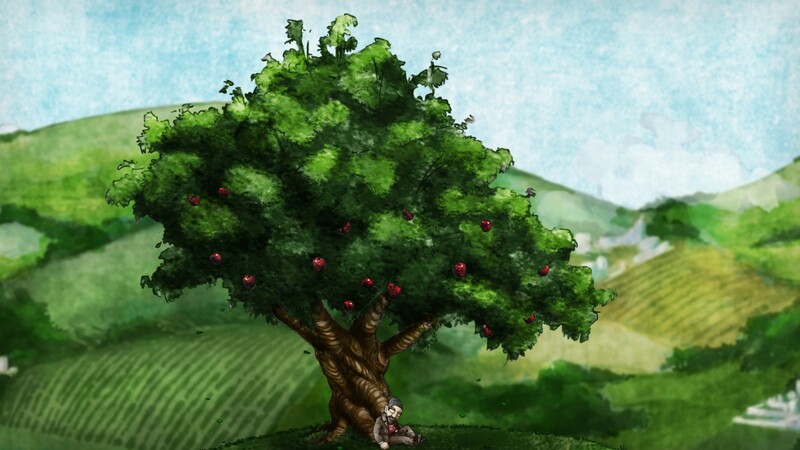 The Bridge puts you in control of an unnamed individual who’s napping below an apple tree, a very Newtonian scene. Your introduction into the core game mechanics begins immediately as its your job to wake him up by rotating the scene clockwise/counter-clockwise until some apples shake loose from the tree and wake him with a sound bonk to the head. You then walk over to your house which contains doorways to places that are much larger than their outside would let on and your descent into a mad Escher-esque world begins. As someone who’s become a bit of a fan of black and white photography the art style of The Bridge tickles me in just the right ways. The environments are all very pristine, in the sense that they feel like they were drawn on a computer rather than in a notebook. This is contrasted by the characters which are by comparison messy, feeling more like they’ve been scribbled in over the top. Indeed this is how your character is brought into the level initially and the juxtaposition of the organic style vs the pristine environment is quite intriguing. 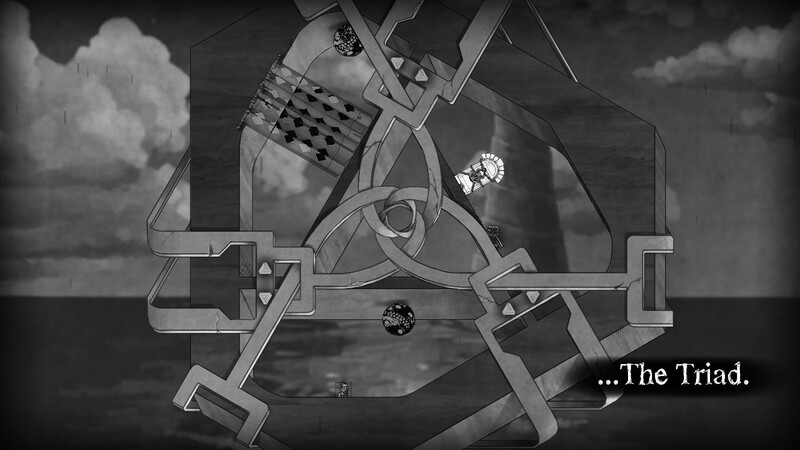 I was quite surprised at how visually interesting each puzzle was as whilst black and white is a great medium to dabble in it doesn’t usually make for the most interesting games. This is mostly due to the environments themselves as like any of Escher’s works there’s an inordinate amount of detail just waiting to be discovered if you look hard enough. Indeed this level of detail forms part of the primary game mechanic where you’ll need to pay close attention to everything that’s going on in order to progress. There’s more to it than that of course but it’s probably the main reason I didn’t find myself getting inexorably bored with the constant black and white environment. The Bridge starts of relatively simple with the main mechanic being your ability to rotate the entire screen 360 degrees whilst some of the external aspects remain constant. Gravity is one such property that remains constant despite any rotational changes you might make, always drawing you down towards the bottom of the screen. This is then made more difficult by the introduction of hazards like falling off ledges into the abyss and the addition of The Tormentors, large rocks with garish faces on them that will kill you instantly should you accidentally cross their path. Thankfully like Braid and other puzzlers there’s a rewind mechanic that allows you to back pedal at any moment should you find yourself in a spot of bother. It’s useful for those moments when you’ve made a mistake that can be easily corrected however there were many times when I found myself going for the reset button instead due to the situation I got myself into requiring far too long to rewind in order to fix. This isn’t to The Bridge’s detriment however as it encourages you to experiment with random things without the fear of having to restart all over again. For a game that one could easily tire of if the repetition gets too high mechanics like this are almost a necessity and it’s good to see that The Bridge has included it. As you progress several other intriguing mechanics are brought into play. There’s the switchers which will flip you from one side of an object to another, allowing you to access otherwise inaccessible paths. At the same time it also switches your colour from the default grey to white which also complicates certain matters as you can’t enter a grey door when you’re white and vice versa. This means that whilst a puzzle might look easy on the surface in reality you have to do a very specific set of swaps in order to get the right colour so you can use the door. Of course this isn’t explained to you until you attempt to open a differently colour door for the first time, which is a really cheeky move on the devs part. The last, and by far most interesting, mechanic is the one that freezes you in position whilst everything still moves and, intriguingly, modifies the direction of gravity of those objects at the same time. It’s kind of hard to explain as I didn’t really understand what was happening until a particular puzzle required it (previously the solutions could be derived by simply inspecting the puzzle and putting things in certain locations) but once you see it in action it becomes clear how you need to use it in order to solve the puzzles. This is of course in addition to the previous two mechanics which makes some of the later puzzles incredibly intricate and, by the same token, very satisfying to solve. The Bridge is a glorious non-traditional puzzler combining a glorious art style with several unique game mechanics to create a game that’s very enjoyable to play and incredibly satisfying to master. The Escher-esque world that the game developers have created is simply fantastic combining many of his ideas into puzzles that are on the surface obtuse and indecipherable but are in fact completely and utterly logical. I sincerely hope that it is destined for other platforms soon as this game would be incredible on a tablet, especially if motion controls were used for the tilting. 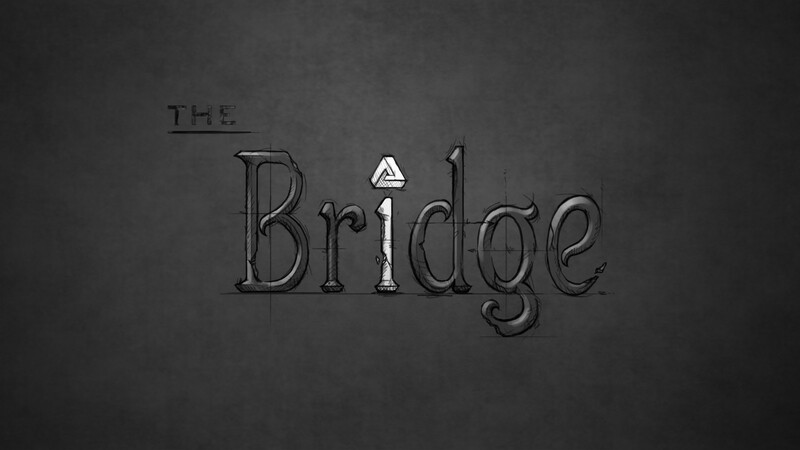 I thoroughly enjoyed my time with The Bridge and whilst it might not have contained the usual story element that I crave in indie games it more than made up for it with intriguing and unique game play. The Bridge is available on PC right now for $14.99. Total play time was approximately 2.5 hours with 38% of the achievements unlocked.